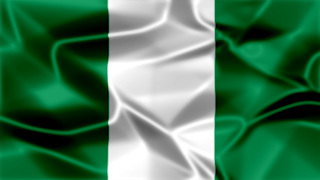 A silky wrinkled looking graphic background of the flag of Nigeria. This graphic file is in Full HD 1920×1080 PNG format. Use it in your presentations, sales material, reports, Powerpoints, videos and educational material.